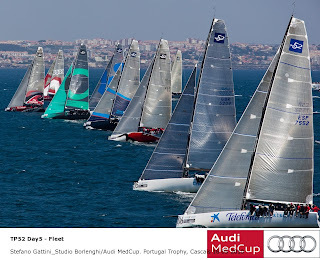 When the Marseille Trophy starts in one week’s time it will be the third successive year that the Audi MedCup Circuit has raced off the historic port which is a Mediterranean jewel. 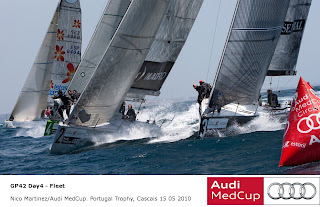 While the first regatta of 2010, last month’s Portugal Trophy Cascais was contested on waters which were new to the Circuit, Marseille’s Rades are now well known to the regular Circuit contenders. 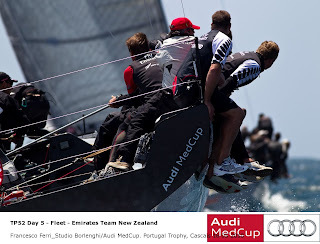 Last year’s TP52 regatta marked the start of Emirates Team New Zealand’s (NZL) unbroken string of regatta victories. 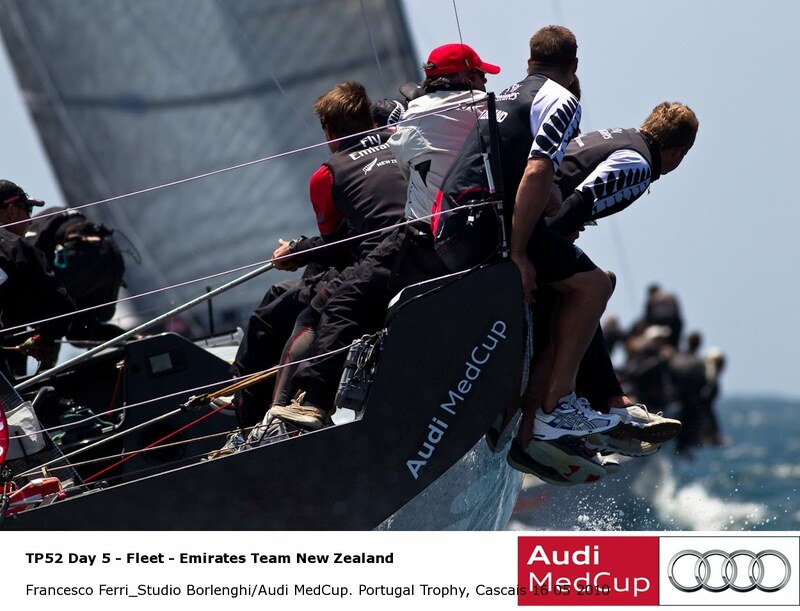 Will the Kiwi team, fresh – or perhaps not so fresh – from a come from behind match racing win in Sardinia complete the full circle and retain the Marseille Trophy, or will another team step up and break the New Zealand silverware monopoly? Italy’s Luna Rossa (ITA) will have past Melges 24 World and European champion Lorenzo Bressani (ITA) on the helm in Marseille in their bid to improve on the Italian team’s patchy performance in Cascais (9th). Cascais proved conclusively that the level in the TP52 fleet has risen once again but also that there is very, very little separating the top boats and that no one team can expect to rise to the top on the strength of any one perceived advantage or strength. Older boats such as Cristabella (GBR) lead the regatta and Bigamist 7 (POR) won races. Home hopes will rest with the Franco-German team on AUDI A1 powered by ALL4ONE skippered by Germany’s four times Olympic medallist Jochen Schuemann with French match racer Seb Col on the helm. 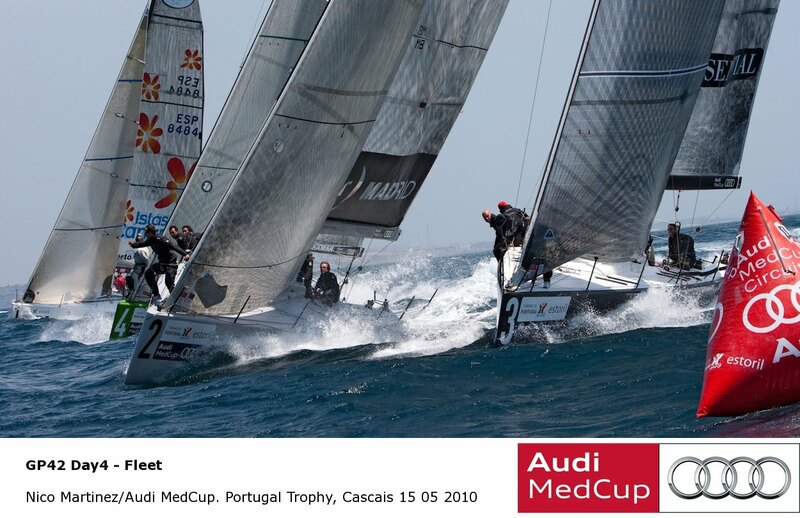 They finished an excellent second overall in Cascais. The GP42 Series will heat up once again in Marseille, as teams have made repairs and a few crew changes to be ready for battle. Peninsula Petroleum (GBR) has repaired the top of their mast broken on the last breezy day in Cascais, and according to tactician Inaki Castañer (ESP), there are no crew changes but the team is ready to retrun some strong results after that unfortunate breakdown. Portugal Trophy winner Puerto Calero (ESP) will be back, but this time with a new boom since theirs was damaged in shipping transit. Skipper Jose Maria Ponce (ESP) also reports that Federico Morales (ESP) and Leonardo Armas (ESP) are back on the boat as the jib and main trimmer, respectively. Another crew change is on AIRISESSENTIAL (ITA), where skipper Roberto Monti (ITA) reports the team’s tactician Gabriele Bruni (ITA) will be replaced for this event by Roberto Benamati (ITA). Not only racing Marseille has long since taken the Audi MedCup Circuit to its heart. The TP52 and GP42 Series fleets line up only meters from the Mairie – the town hall – right in the centre of the Vieux Port. Indeed it is not unusual to see the crews drying and folding spinnakers on the steps of the town hall each morning! The new, enlarged Audi MedCup Public Village will open from Saturday 12th June where the fleets will be lined up for promenaders to enjoy a very close look at the boats and meet and mingle with the sailors. Among the interactive attractions are the Audi Driving games, grinding competitions, and games and activities for younger visitors. Audi MedCup TV proved a huge worldwide success from Cascais, and all races will be broadcast with live action images from the water, with supporting comment and commentary on www.medcup.org, going live just before Race 1 of the TP52 Series, at 1250hrs (local) on Wednesday 16th June.